Title Choice offers a full range of professional title services dedicated to serving the people of the Twin Cities. Title Choice was created in order to offer the highest quality title insurance service with old fashion customer care in mind. Our flexibility and know-how are suited to fit your every need, regardless of time frame. We are recognized for providing exceptional and detailed service, in addition to efficient customer care. At Title Choice, we are prideful of our desire to offer our clients an unparalleled level of service. It is our mission to partner with our clients to achieve a personal and customer-specific relationship, because we understand that every situation is different. We achieve this by keeping you informed of changing practices and issues in the industry, every step of the way. 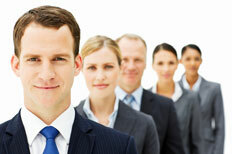 At Title Choice, we invite you to witness the highest unmatched quality of professional support and service. Based on our expertise and understanding, we are confident that you will make the right Choice to experience the difference. By utilizing information from knowledgeable sources here at Title Choice, we are able to protect property purchasers and lenders from any issue that may interfere with title ownership. We are honored to provide title insurance coverage on both residential and commercial properties throughout the Twin Cities.